Family heirlooms come in many forms, shapes and sizes. It always amazes me what types of material appears on eBay as part of estate liquidation sales. Family scrapbooks, bibles, photo albums and personal diaries. 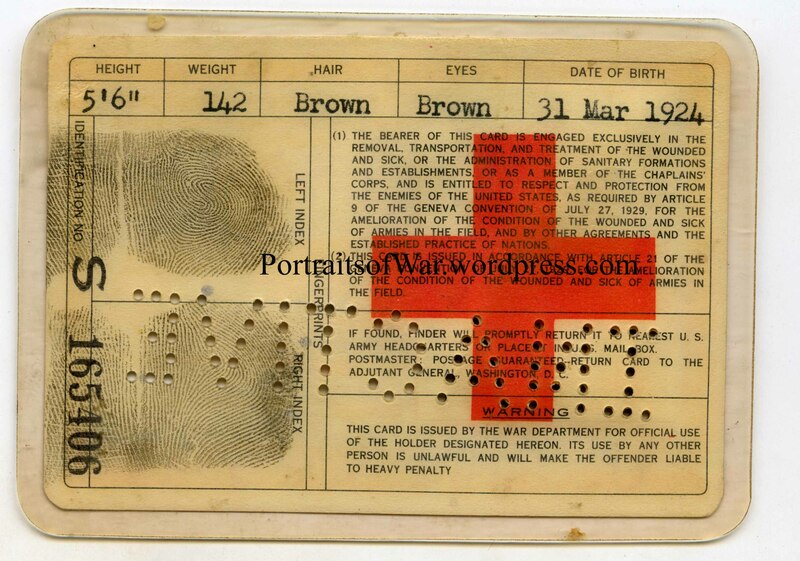 In this case, I was able to purchase a small group of photos and a War Department Identification card from a nurse who served in WWII. 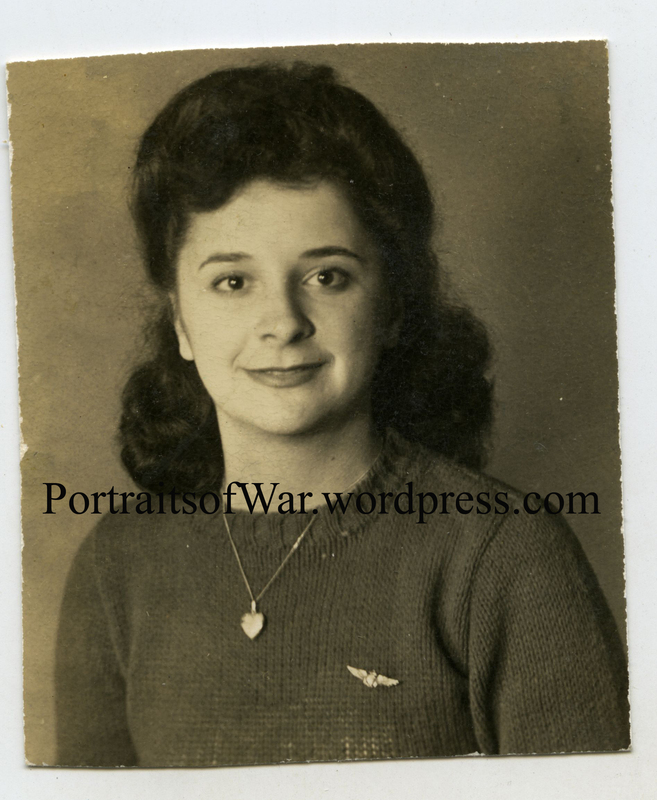 Included were a few photos of her in wartime garb, shots of her husband (pre-marriage) and her wartime ID card. As I always say, it’s about the research…. It’s sad to thing that a family would sell off relics of their family’s past, but it’s not for me to judge. I’m here to interpret the material at hand and figure out as much as possible with scant information. I always start off with a quick ancestry.com search to help figure out the background story. 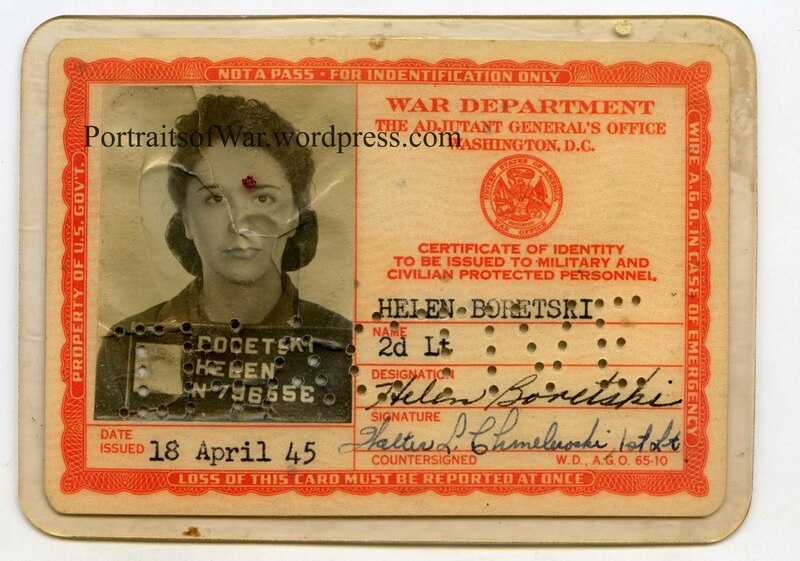 We have a name – Helen Boretski and a birthdate of March 31st, 1924. 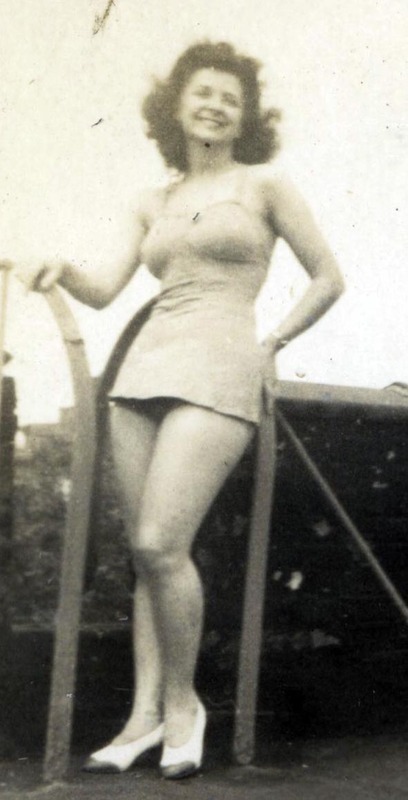 Helen was 5’6″ when the photo was taken and a healthy 142 pounds. Her hair and eyes are listed as brown. Her thumb and right index finger are both present on the back of the ID. A quick ancestry and google search helped me discover that Helen was dating and eventually married to a Navy man named Paul Bronesky in 1946. A few photos included in the purchase we indeed identified to a Paul, so this helps confirm the identification. In fact, further research into Paul’s WWII service shows that he was a radio man on a Navy aircraft. This is further confirmed through the photo included in the group. 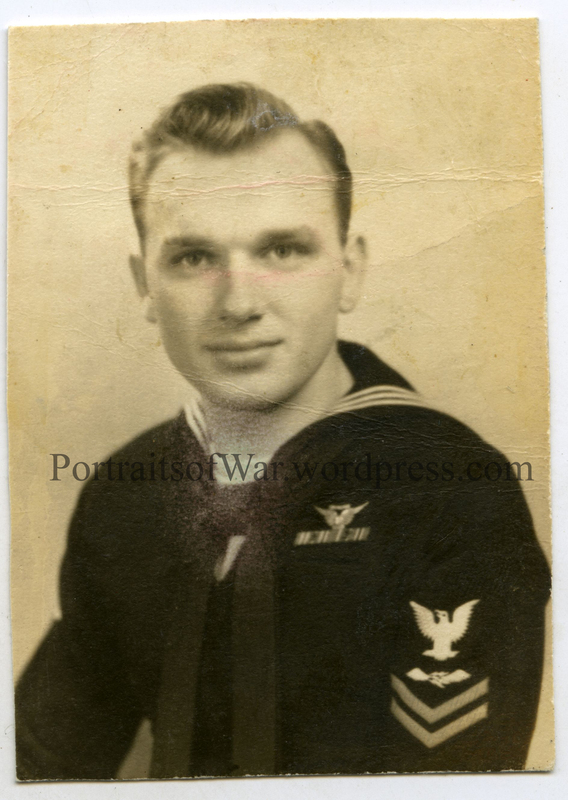 He is wearing a rare set of Navy air crew wings with a radioman rate patch on his sleeve. “Helen (Boretski) Bronesky, 83, formerly of Plymouth, died March 24, 2008, in Mequon, Wis., of a cerebral aneurysm. Mrs. Bronesky was born March 31, 1924, in Plymouth and raised in Lyndwood. 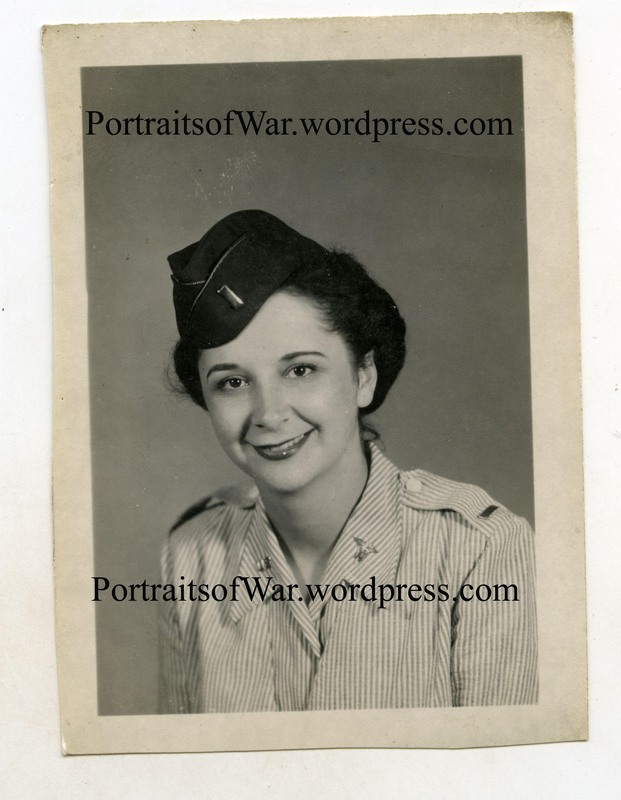 She graduated from area schools and RN school and was a veteran of the U.S. Army Nurse Corps in World War II. She was preceded in death by her husband, Paul; parents, Michael and Susan Boretski; her brother, Michael Boretski. She is survived by son, Paul; daughter, Susan; granddaughters, Michelle, Erica and Leslie; sisters, Mary Koliga, Anne Kochevar, Margaret Cowan and Dorothy Bedosky; numerous nieces, nephews and friends. Interment will be Saturday, July 26, 2008, at 11 a.m. in S.S. Peter and Paul Cemetery, Plymouth Township. Arrangements are by the S.J. Grontkowski Funeral Home, 530 W. Main St., Plymouth. Very interesting work you do. 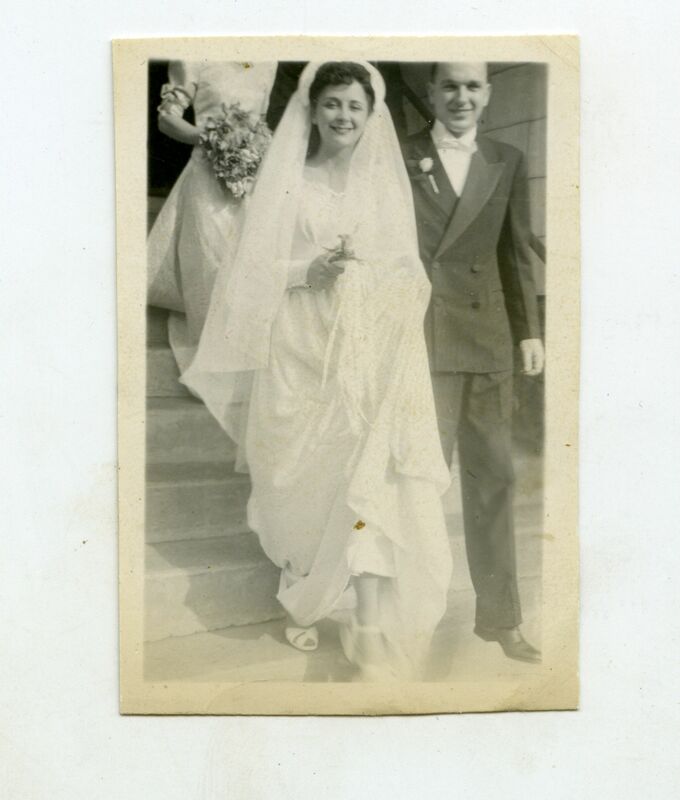 I have a genealogy blog here on WordPress, and sometimes I buy old photos from thrift stores or antique shops, identify the people in them, and then mail the photos back to living relatives. I’m wondering if you know where there might be a repository of photos of WWI platoons? My great-grandfather and his brother were in Company I of the 9th Infantry battalion in WWI. Arthur Krueger was killed in the battle of the Meuse-Argonne just one week before the end of the war. His brother Oscar (my great-grandfather) was gassed, but made it home alive. I’m hoping to find a photo of their Company where I could identify my great-grandfather and his brother. Thanks for any info you may have. These are my maternal grandparents. I was named after Helen, it is my middle name. Sadly we believe a lot of family photos and heirlooms were placed in storage by another family member and unfortunately he was unable to pay for the storage costs. Unbeknownst to us the contents were bought and sold a few times over. I would love to see more of these photos and if you wouldn’t mind, would love to have them back in the family. My mother would be brought to tears to know that the photos of her parents aren’t lost forever. I’m writing in response to this discovery my husband found during a Google search for news of my brother. My name is Susan Bronesky Schaub and these photos are of my parents, Helen and Paul. 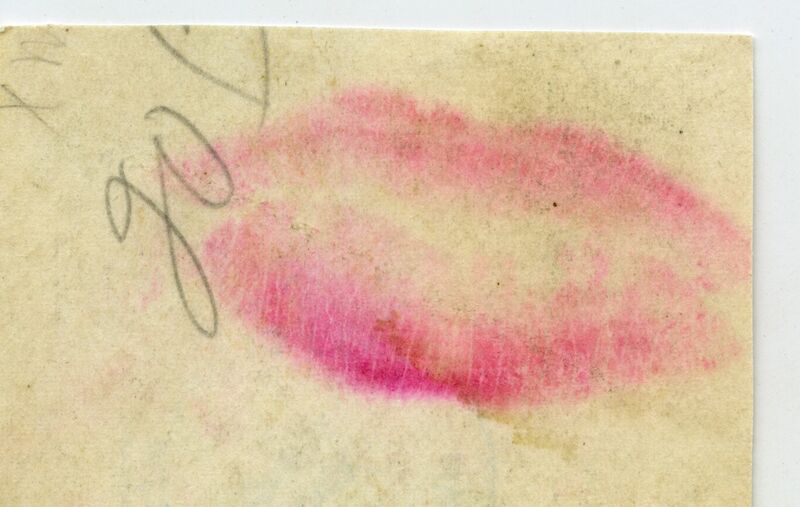 The loss of family albums and old records since my Mother’s death in 2008 has been a persisting deep ache. Those items were in my brother’s possession and, as my daughter, Erica, stated, believed to have been stored and subsequently lost to family once my brother was unable to reclaim them or pay for storage. If you would be willing to part with those items you have purchased pertaining to my Bronesky family, I would certainly purchase them from you and pay for their shipping/mailing.